MOSCOW, December 13. /ITAR-TASS/. 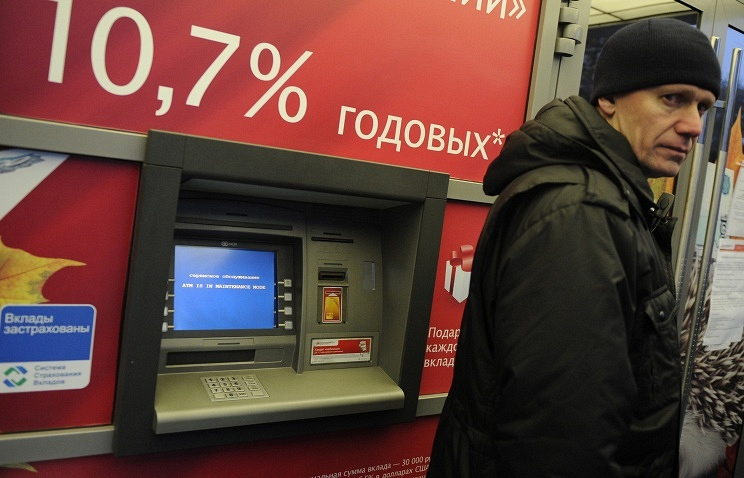 Russia’s Central Bank has revoked licenses of three commercial banks — Investbank, Smolensky Bank and the Bank of Project Finance, as reported on the official web-portal of the watchdog on Friday. The Central Bank explains its decision by a lack of possibilities to restore the bank’s financial positions and in order to avoid further development of the negative situation. The regulator appointed a temporary administration to the moment it appoints a receiver or liquidator. On December 1, investigators came to the bank’s head office in Moscow. On that day, the bank’s management said the inspection did not have anything to do with the credit organization, but was related to client accounts. The Investbank was founded in 1989 and has been participating in the system of obligatory insurance of deposits. In 2008, it acquired three banks, including Moscow’s Konversbank. The bank has been serving over 430 individuals and over 30,000 companies. Investbank is among Russia’s top hundred banks in assets. The regulator explains the decision claiming the Smolensky bank did not comply with the federal legislation or the Central Bank’s norms, and provided incorrect reports. With a lack of liquidity, the bank could not fulfill in time its obligations for creditors or clients. At the same time, the bank was involved in deals, aimed at extraction of assets. The Smolensky bank did not comply with the requirements on adequate reserves for cases of possible losses. The credit organization in the reports to the regulator did not reveal the realistic financial position, a complete loss of own means (capital) and failures to satisfy demands from creditors. The bank’s owners and managers did not undertake measures to improve the activities and to restore the financial standing. Due to the low quality of the credit organization’s assets, attraction of the state corporation Agency for Insurance of Deposits under reasonable conditions is not possible. The Central Bank appointed to the Smolensky bank temporary administration until the appointment of a receiver or liquidator. The authorities of the credit organization’s executive bodies are terminated in compliance with the federal laws. The Smolensky bank is a participant in the system of insuring deposits. A revoking of the license for banking operations is an insurance event, as per the federal law. 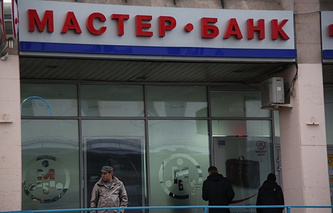 The Smolensky bank used processing of the Master Bank, which license had been revoked earlier. The bank’s clients had rushed to remove their deposits, and the bank’s operations system failed. On December 2, management of the Smolensky bank asked the Central Bank for support. In a letter to the Central Bank’s Chair Elvira Nabiullina the bank asked for a stabilizing loan of eight billion rubles or for other measures to allow the bank observe its obligations. Later on, the bank’s clients also sent a letter to the Central Bank. They asked the regulator to prevent the bankruptcy, to offer financial support and not to revoke the license. On December 6, the Central Bank began inspection of the Bank of Project Finance. The bank’s failures began as the Central Bank revoked a license from Master Bank. The bank stressed it had problems with liquidity, though claimed it did not have failed obligations. On December 3, the bank terminated work of its 15 branches for the term of stabilizing measures. The Bank of Project Finance credited and served corporate clients, attracted private clients’ money to deposits, and also offered equity operations. The banks’ assets, Banki.ru (a banking web-portal) says, are over 29 billion rubles.